The holiday season ought to be filled with joy, but for many it brings out feelings of depression or isolation. Beat those feelings by being proactive with these tips. The holiday season is supposed to be a happy time, filled with family and friends, with thankfulness and joy. But for those dealing with depression, the winter months and the holiday schedule can bring an increased darkening of spirit. Leonard Lempa, behavioral health intake coordinator for Presence Saint Joseph Hospital in Elgin, says social isolation is one of the major reasons why the “happiest time of year” isn’t always so happy for some. Many people experience structural problems including difficulty in connecting with others, Lempa says. Depression can also stem from seasonal affective disorder (SAD), caused by the decrease in sunlight from winter-shortened days and overcast weather. About 50 percent of people are adversely affected by SAD, to some extent, he says. 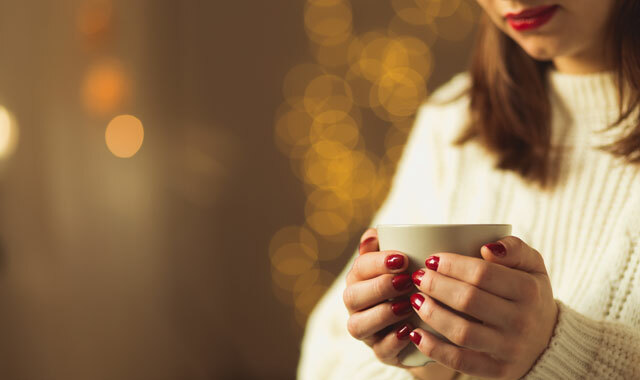 Lempa stresses that, while there are no easy fixes for holiday-time depression, there are ways in which people can help themselves to ease the sadness. It may also help to get involved in the community. Next, don’t agonize over the perceived need to spend time with people for longer than you feel comfortable, Lempa says. Lempa points out that people often compensate for their depressed feelings by overindulging in food and drink. When depression deepens to the point where someone considers hurting himself or herself, Lempa encourages connecting with a help line or behavioral health outreach in order to get support and counseling. This entry was posted on Wednesday, December 7th, 2016 at 11:59 am	and is filed under Health & Fitness. You can follow any responses to this entry through the RSS 2.0 feed. Both comments and pings are currently closed.